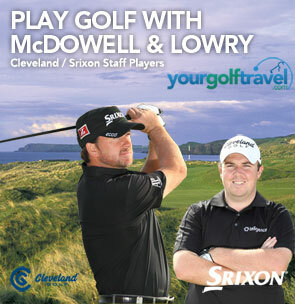 The good people at Your Golf Travel have teamed up with Cleveland Srixon to allow a lucky golfer a once in a lifetime prize, a round of golf with Graeme McDowell and Shane Lowry. 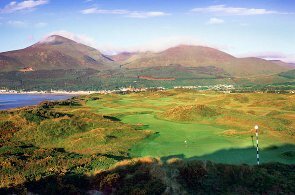 Taking place on 2nd July 2012, the prize winner will get to watch the pros in action at the Irish Open the day previously as well as test their brand new irons which will have been custom fitted by Cleveland. 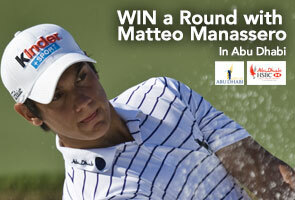 Quite simply this could be the best ever prize for a golfer. Graeme McDowell, the 2010 US Open Champion who finally broke the GB&I’s hoodoo on the event which had escapes our clutches since Tony Jacklin’s victory in 1970, is one of the sport’s most charismatic characters with an attacking game which has not only propelled him up the world rankings but also seen him chalk up victories across the world and also gain huge fame as for holing the winning putt in the 2010 Ryder Cup at Celtic Manor. Shane Lowry turned professional off a handicap of no less than plus 5 having recently won the Irish Open as an amateur. Since 2009 Lowry has gone from strength to strength claiming fantastic finishes each season as he has climbed up the rankings on the European Tour, finishing the 2011 season with no less than €760,000 in the Race to Dubai. The prize winner will also get to experience the award winning custom fitting experience from Cleveland, with a set of irons and wedges included. We just hope it won’t be a case of all the gear, no idea once they get to play with these two legends! Print article This entry was posted by Oliver on April 12, 2012 at 4:00 pm, and is filed under General. Follow any responses to this post through RSS 2.0. You can leave a response or trackback from your own site.